Anybody down to play the pictue game???? figure it might give a little motivatin to get out in your dub! Saw this game on another car forum and thought it'd be be fun to have over here, let's see if this works..
Name a place or thing to take a picture with your Dub/AUDI. First person to go out, take, and post the picture, picks the next challenge. The picture must be taken after the challenge is picked. (There are no prizes so the point is to just have fun and take legit pictures) Try not to make it impossible. No photoshops. If nobody else gets the picture within 1 week, the person that picked it can choose a new one. New challenge must be picked when picture of the last one was posted. So when you're posting your pic, also include the next challenge after the picture. 1.) The picture must be taken AFTER the challenge is picked. 2.) If a challenge is not met after 1 week a new topic is picked by the previous challenger winner. 3.) After any comment, please put the current challenge at the bottom so everyone can stay up to date. 4.) Pictures must be taken while OUTSIDE of your car. 6.) If a picture has been posted but a new challenge has not been picked, the current challenge is still active until (a) new challenge has been picked or (b) another rider posts another picture satisfying the challenge and picks a new challenge. 7.) Since we do have a few other types of cars on here, a picture of any VW that meets the challenge will be accepted. Last edited by choptopvolksrod on Feb Sun 12, 2012 12:57 am, edited 1 time in total. Re: !!! VW Picture Game!!! I think it would be pretty fun. I know my Dub is garaged till spring but if the weather is right It may make an appearance. Now an Audi is dd. So that could work. haha alright i added audi into the rules so is now a picture of your Dub/AUDI. 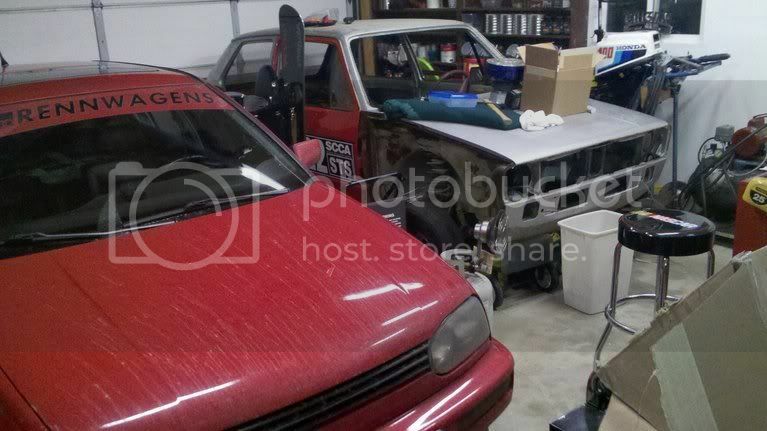 CHALLENGE: your dub/Audi in your garage!!! this ne should be easy so lets get the ball rolling! SO what is the next challenge Wade? Or did you not read the rules either? Picture of your Dub/Audi in front of a "gentleman's" club. Single mothers/med school students optional. First to get pic in front of a McDonalds sign. yasha7fold's challenge is accepted since he won the challenge. CHALLENGE: Dub or AUDI in front of MCdonalds sign. GO!!!!! !